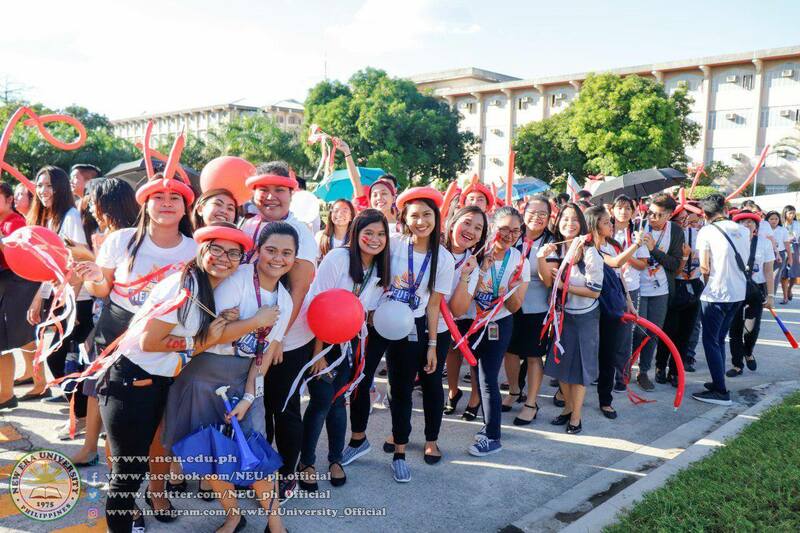 New Era University celebrated its NEU Fair 2019 with great fun and excitement. 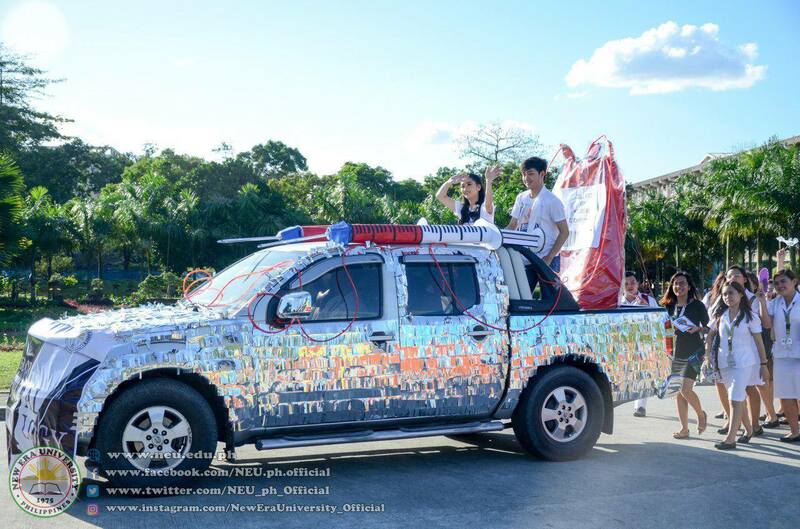 January 14, 2019 was the official start of the NEU Fair 2019, Dr. Nilo L. Rosas, the University President, welcomed the students, and commenced the event with the Fun Walk, Float Parade and Grand Kick-Off and the presentation of the official candidates of Mr. and Ms. NEU 2019. Dr. Nilo L. Rosas, University President, delivering his welcome speech to the students. Day 2 of NEU Fair 2019 started with Clash of the Brush and Scrap to Craft at the University Covered Court, followed by Rising Voices and Spoken Poetry held at the 2nd Flr Lobby Main Bldg. 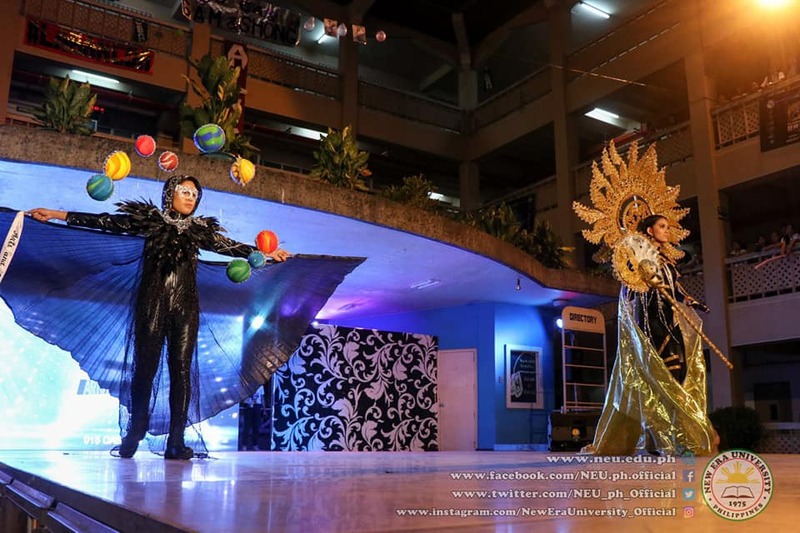 The official candidates of Mr and Ms NEU 2019 showcased their talents and impressed the crowd. 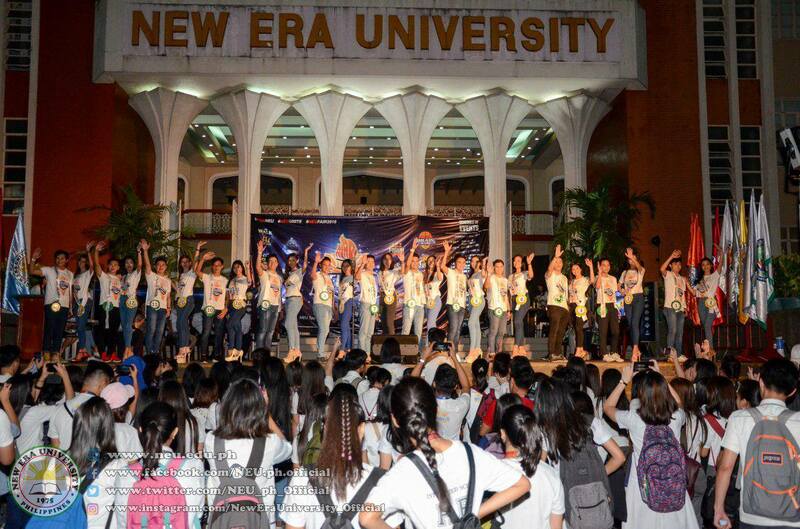 After the talent competition, bands from different colleges entertained the NEU students through Music Playlist. 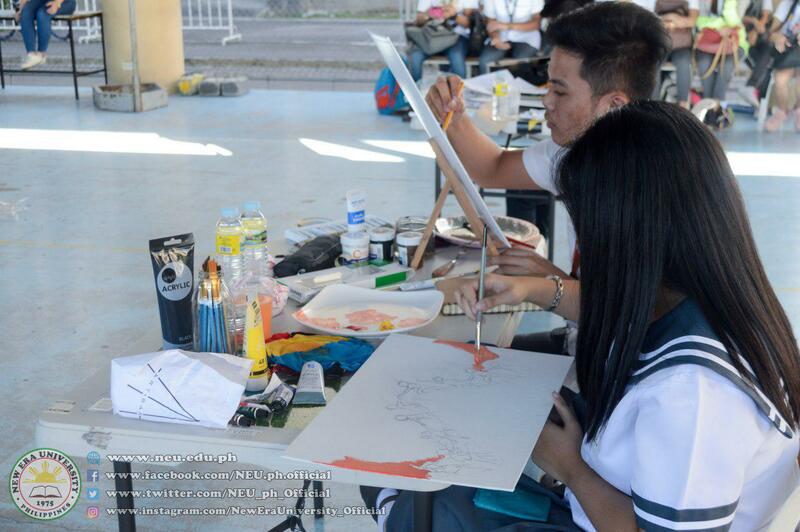 Participants of Senior High School on Clash of the Brush. 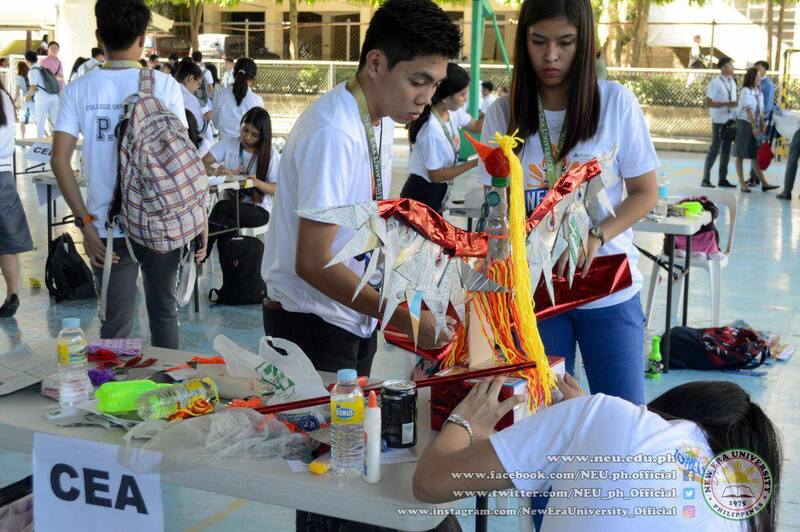 College of Engineering and Architecture's entry for Scrap to Craft. 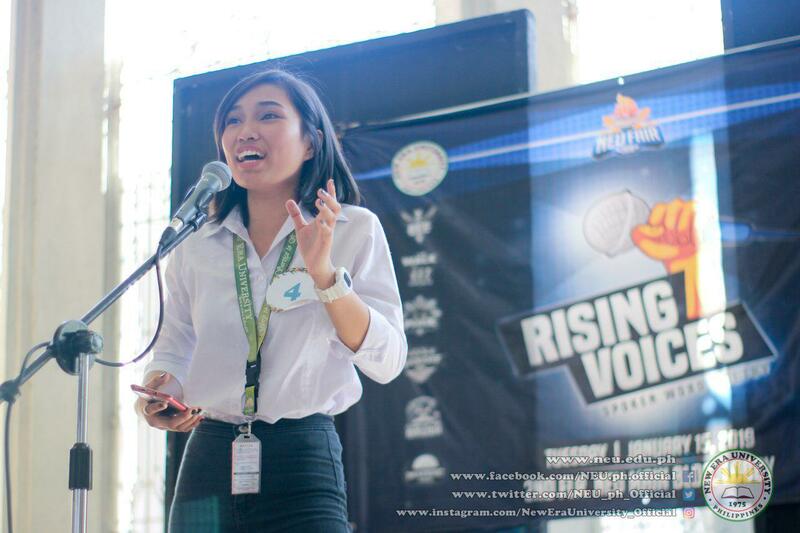 College of Computer Studies' representative while delivering her spoken poetry entry. 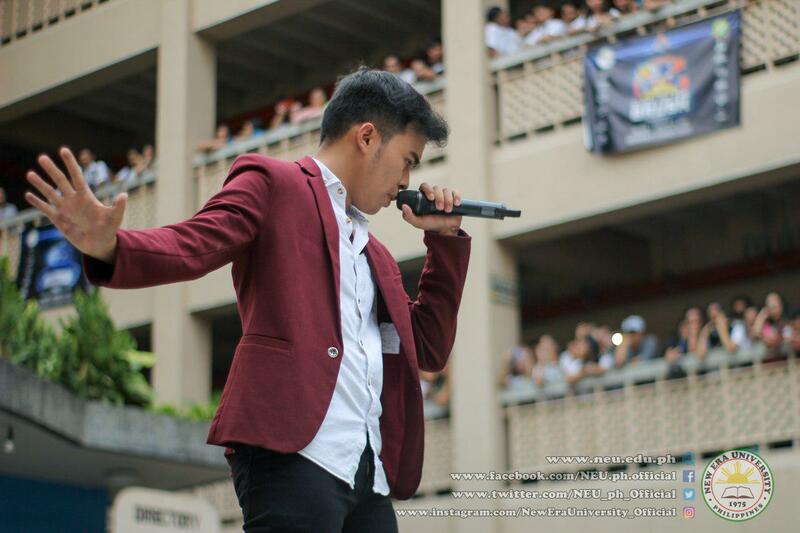 Mr. Lawrence Parba from Arts and Sciences performed his stunning sing and dance talent. 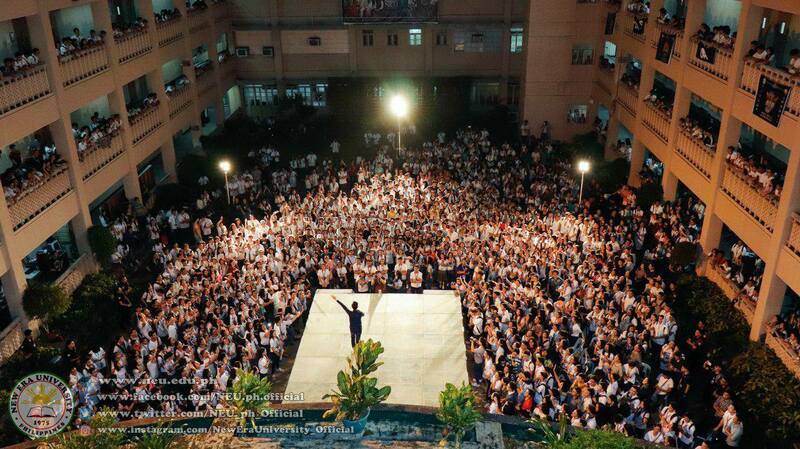 Students of NEU enjoyed the Music Playlist. 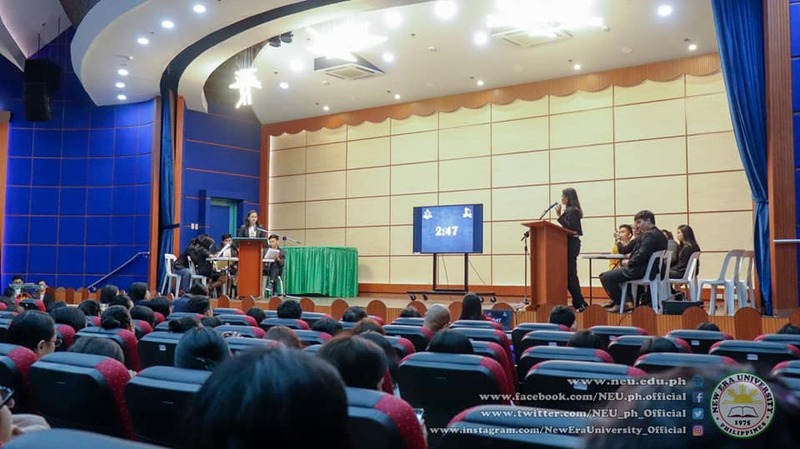 Day 3 of NEU Fair 2019 were Academic Debate (University Hall), NEU and the Bee (Professional Schools Bldg. 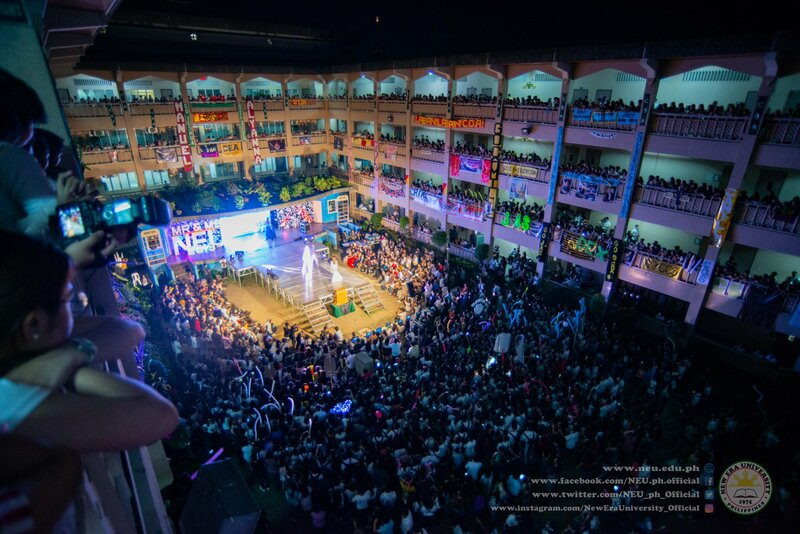 ), NEU Acapella (University Quadrangle), and the Preliminary Competition of Mr. and Ms. NEU 2019 held at the University Quadrangle. 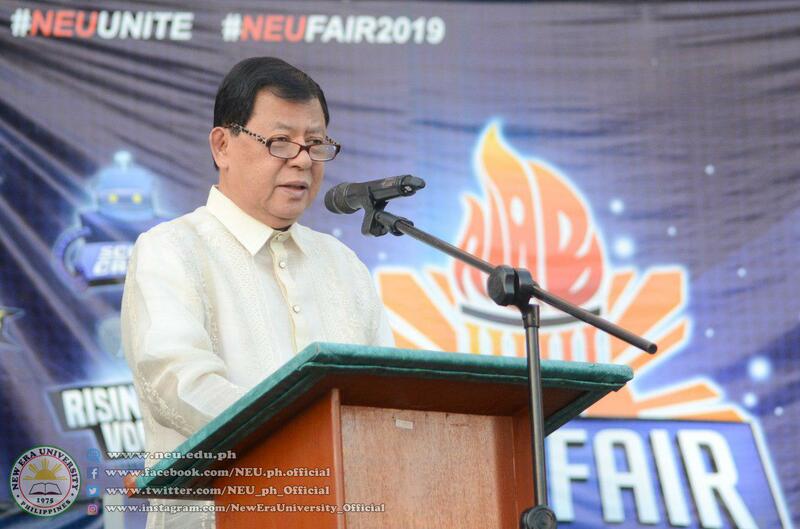 Day 4 of NEU Fair 2019 was started with the Forum at the University Hall, and Hataw Sayaw at the University Gymnasium. 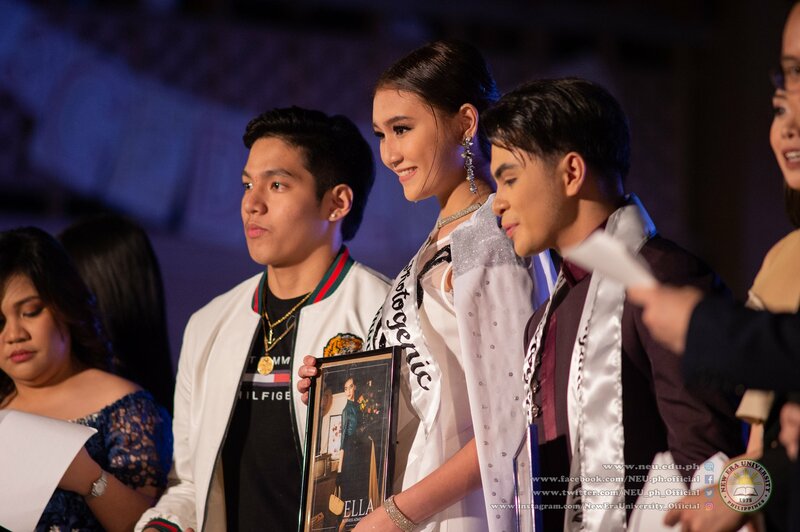 The last day of NEU Fair 2019 was started with the Brain Wars held at Professional Schools Building.Lastly, before the most awaited part of the NEU Fair 2019 was the Grand Coronation of Mr. and Ms. NEU 2019, the winners of different events of NEU Fair 2019 was awarded. 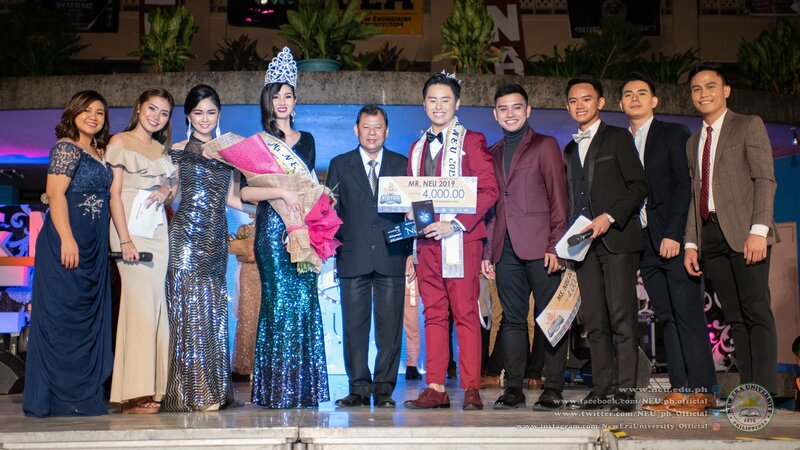 Mr. Dexter Amor (Computer Studies) and Ms. Ella Andreassen (Business Administration) received Mr. and Ms. Photogenic. Ms. 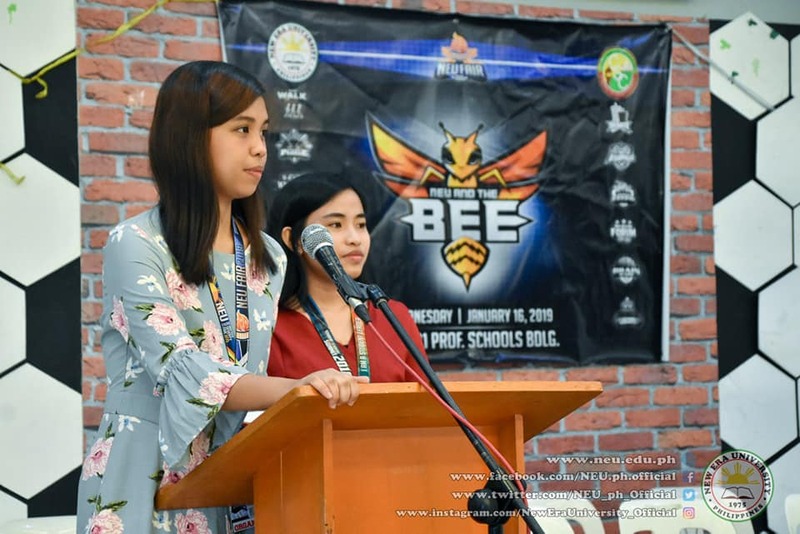 Jewel Martinez (Engineering and Architecture) and Mr. Lawrence Parba (Arts and Sciences) were awarded as 4th Runners Up. Ms. Stella Vertucio (Arts and Sciences) and Mr. Cedrick Nicolas (Engineering and Architecture) were awarded as 3rd Runners Up. Ms. Jorie Canlas (Communication) and Mr. Angelo Kalaw (Education) bagged the 2nd Runners Up. 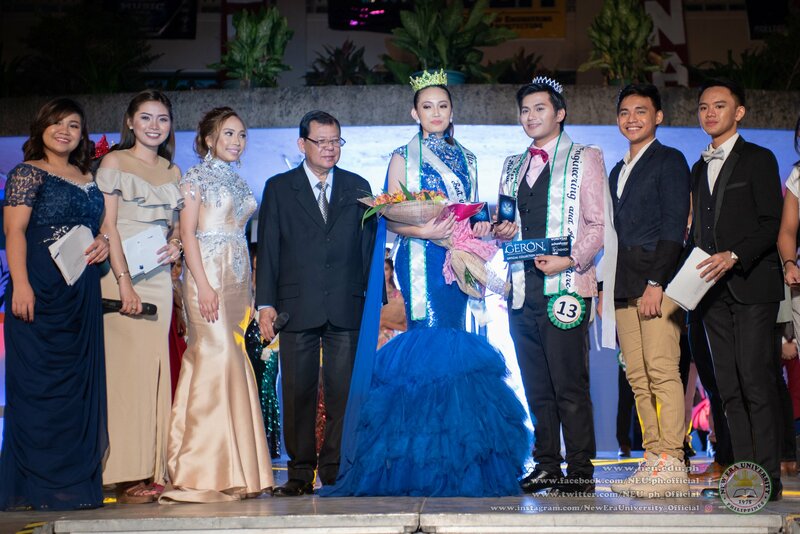 Ms. Alyanna Pizarres (Accountancy) and Mr. Kristjan Cuevas (Physical Therapy) were crowned as 1st Runners Up. 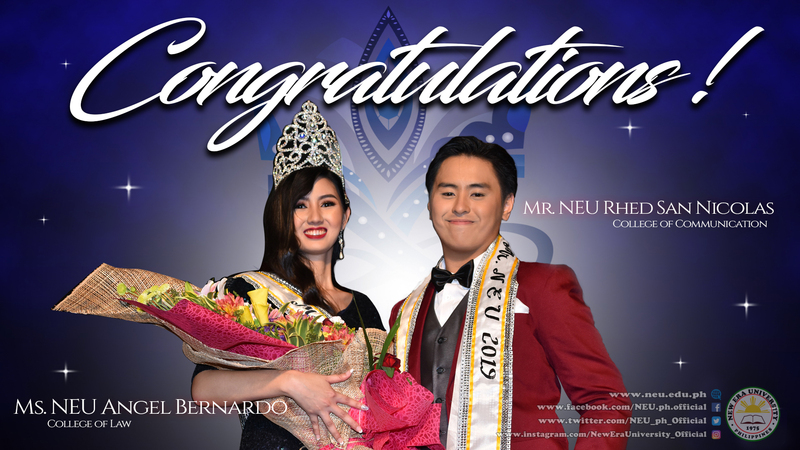 Ms. Angel Bernardo (Law) was crowned as the Ms. NEU 2019 and Mr. Rhed San Nicolas (Communication) is the Mr. NEU 2019. The College of Accountancy was awarded as the Over-all Champion of the NEU Fair 2019 and awarded as the most active college for this year. NEU Rizal - College of Agriculture is now open for enrollees!